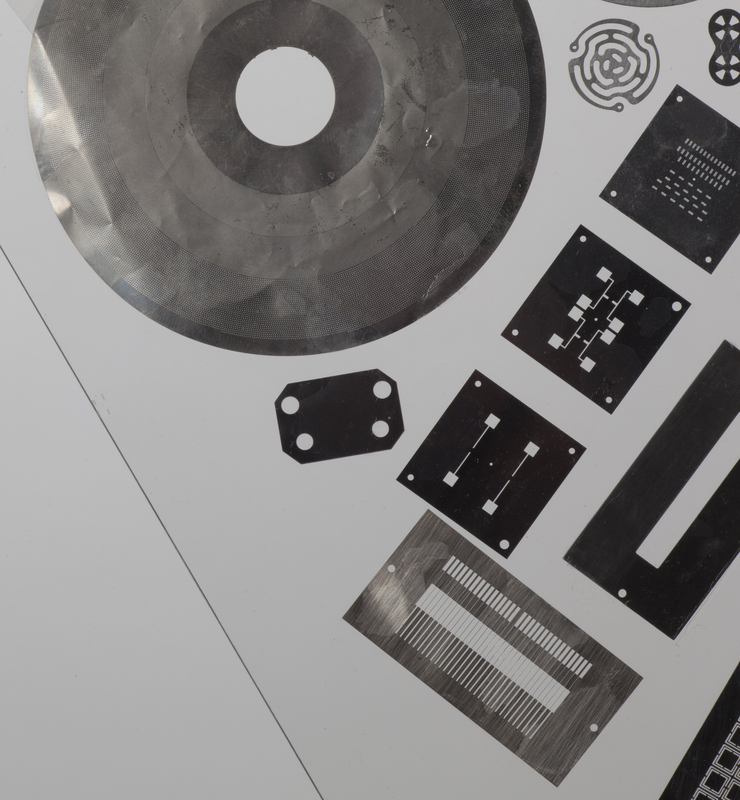 Shimifrez supplies custom made Photo etched and electroforms with tiny holes or lines that can fabricate masks for your use in vapor deposition to make OLEDs and other organic circuitry. Burr-free aperture edges and controllable draft angles enable improved deposition performance. Deposition mask techniques are used in a wide range of vacuum-chamber evaporation and sputtering processes to fabricate both simple and complex micro-engineered electronic components and products. They are increasingly being used to deposit inks onto substrates during the manufacture of flat panel displays. Shimifrez manufacturing technologies provide accuracy and durability advantages over conventional mask manufacturing techniques. Single masks, multi-mask sets and frame systems are all available dependent on the application. Finished masks, produced in stainless steel, Invar and nickel.